Deccan Can & Printer Pvt. Ltd.
Deccan Composite Containers Pvt Ltd.
Eagle Iron & Metal Indl. Pvt. Ltd.
Gujarat Krishi Chem. Ind. 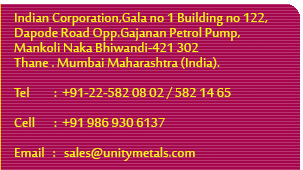 Ltd.
Gujarat State Co-op. Federation Ltd.
India Durgs & Pharmaceuticals Ltd.
India Tin Industries Pvt. Ltd.